If you’ve ever struggled with odd spaces and angled ceilings, or the feeling that you’re running out of room for any more storage, you’re not alone. While angles and stairs often require customization to maximize space, it’s well worth it to add extra square footage to areas that were once unusable. Below are three examples of how you can create storage in an awkward space. The results are as purposeful as they are elegant. Finished attics can be homes with cozy, charming bedrooms, but they typically lack closets and have sharply angled ceilings — two details that can seem like huge obstacles. This is when a custom design comes in handy. 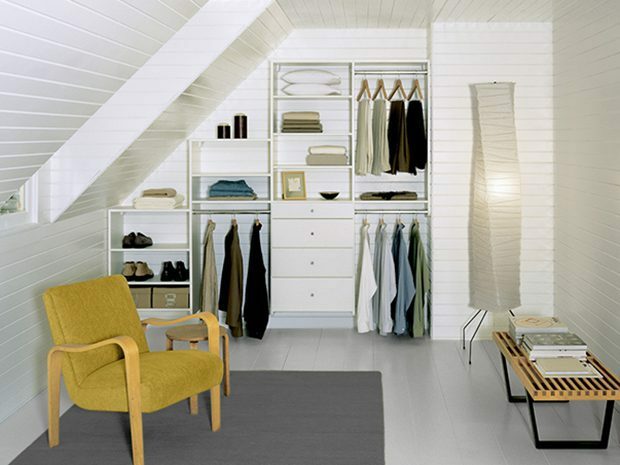 As seen below, a wall-mounted reach-in closet can be designed to slope where the ceiling angles. At the tallest parts, double hanging rods, wall shelving units, drawers and baskets fill the space. 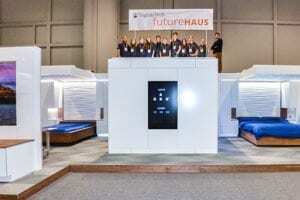 As the ceiling slopes down, open shelving and one low hanging rod provide additional storage. The stairway is another place where angles can prevent you from recognizing prime storage. For example, if you want a home office, but can’t spare an extra room, consider taking advantage of the space under your stairs. This often-wasted space is perfect for a small office system and extra storage. If your stairs are near your front entrance, you can also take advantage of this area for entryway storage and organization. 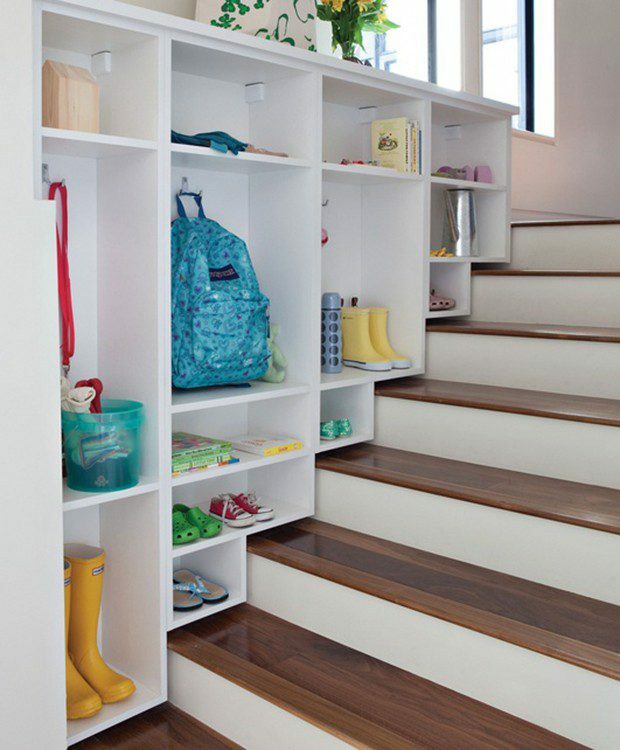 If family storage is what you need, get creative with the space along your stairs. With a system that’s designed to fit perfectly, you might discover space you didn’t realize you had. The California Closets entryway cabinet design below keeps everyone’s backpacks, shoes and other gear neat and organized.